(Linköping, Sweden, May 31, 2018) – Agama Technologies, the specialist in video service quality and customer experience, today announced that Telenor in Norway has extended its cable video assurance capabilities with Agama network probes, as well as implementing Agama SCALE – the next generation Agama analytics and assurance platform. 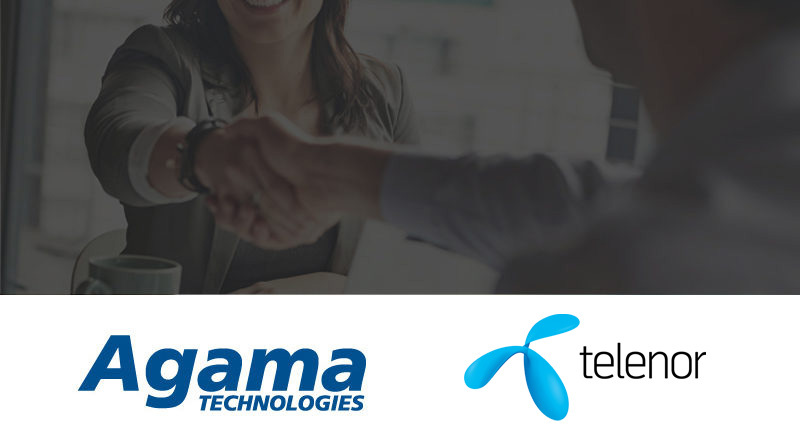 As a natural step in modernizing operations, Telenor extends their cable network assurance with Agama, by implementing analytics and video monitoring from the head-end all the way through to the end customer. This enables preventive maintenance and faster time to repair, to achieve top quality services. “For Telenor, attaining an excellent customer experience is vital. With the Agama analytics and assurance platform, we get a very good overall view of the entire cable distribution chain in real-time, and we can easily understand KPIs and KQIs on customer level. The flexibility, performance and usability of the Agama system makes it an essential component for maintaining an efficient and high-quality service for our customers”, Tommy Hexeberg, System Manager Broadcast Services at Telenor says. The update to the Agama SCALE platform has enabled new, mission focused applications and high-volume data integrations with other back-office systems at Telenor. Applications for operations teams, product development and other departments, together with data integration capabilities, provide a future-proof and highly scalable foundation for video assurance and analytics for operators. By choosing to deploy Agama software edgeQAM probes, Telenor has access to wide sets of KPIs and metrics in a flexible package combined with high usability and powerful dashboards. With high capacity to cover many muxes concurrently, operations teams now have full transparency in the delivery network at all times.